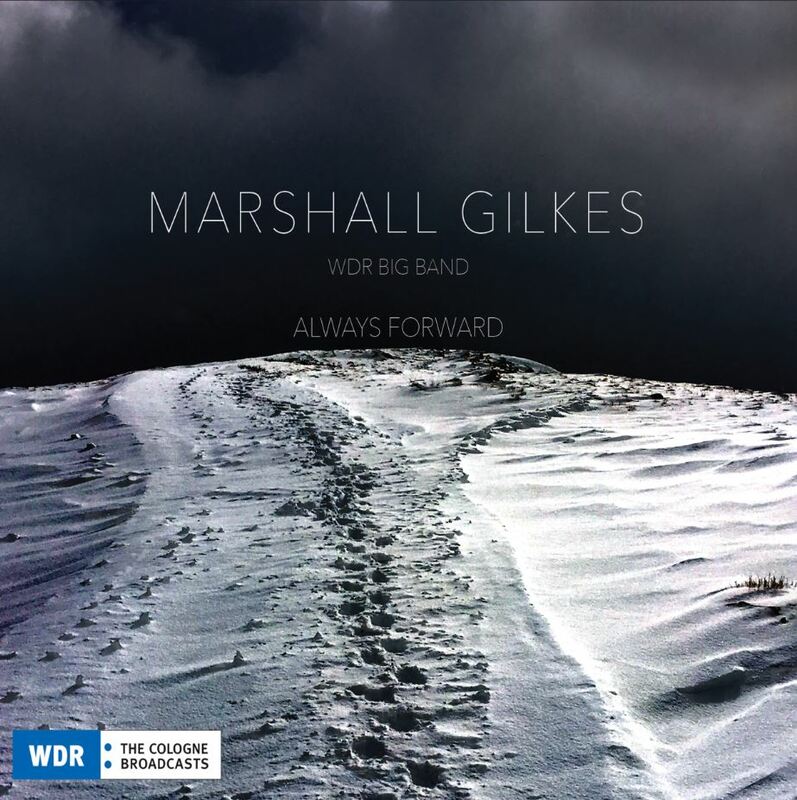 Following the success of 2015’s acclaimed Köln, his Grammy nominated collaboration with the WDR Big Band, Gilkes has come up with another adventurous bit of modernism that showcases his vivid ensemble writing and peerless chops in Always Forward. A former member of Germany’s premiere large ensemble (from January 2010 to December 2013), Gilkes has joined the impressive roster of artists who have documented collaborations with the esteemed big band, including saxophonists Joe Lovano, Bill Evans and Maceo Parker, guitarists Hiram Bull- ock and Bireli Lagrene, pianist Abdullah Ibrahim, bassist Ron Carter, keyboardist-composer Joe Zawinul, drummer Bernard Purdie, the New York Voices, Steps Ahead and the Brecker Brothers. The resident jazz branch of the Westdeutscher Rundfunk radio and television station, the second largest public broadcasting organization in Europe after the BBC, the WDR Big Band is easily the swingingest band in the Fatherland, boasting a crew of world class players and impro- visers in alto saxophonists Karolina Strassmayer and Johan Hörlén, tenor saxophonist Paul Heller, trumpeter Andy Haderer, trombonist Andy Hunter, guitarist Paul Shigihara, bassist John Goldsby and drummer Hans Dekker. one of those musicians who continually just drops my jaw and leaves me shaking my head in disbelief. Shifting gears, Gilkes and this crew next deliver a swaggering bit of big band funk on the exhilarating “Switchback,” which features two scintillating sax solos by Strassmayer and Heller and culminates with Dekker’s flurry on the kit over a band ostinato. The classical influence comes out on “Lost Words,” which is a greatly expanded take on the tune that Gilkes originally wrote as the title track of his 2008 album. “This is a very different version,” he explains. “Rather than having the piano play the introduction, I wrote an introduction for brass and woodwinds. Gilkes’ remake of “Portrait of Jennie,” a standard recorded by Freddie Hubbard, Clifford Brown, Wes Montgomery, Nat King Cole and J.J. Johnson, is a chart he wrote a few years ago. “I took the first few notes of the melody, which the horn introduction and interlude is based off of. And I just tried to take that and develop it through the woodwinds in the beginning and then the trombones later on. I love Aaron Copland, who uses a lot of that kind of poly-harmonic vo- cabulary.” Lead trumpeter Andy Haderer plays some lovely flugelhorn on this lush number. earlier than he should have. Members of his father’s Air Force band recall their conductor, who by that time had decisively traded his trombone for the baton, suddenly keeping his instrument in his office. It seems his young son insisted on trying it out for himself, and was doing more harm than good. That early experience laid the groundwork for Gilkes to study trombone in school once the music program started handing out instruments, however. While his early training was in classical music, Gilkes heard jazz from an early age through the Falconaires, then one of the Air Force’s premier jazz ensembles, and on his own initiative began collecting albums by the likes of Dizzy Gillespie and Louis Armstrong. Gilkes ultimately entered the jazz program at the Juilliard School, though he continued his classical education in parallel, including studies with Joseph Alessi, the longtime Principal Trombonist of the New York Philharmonic. From the time he settled in New York in 1998, Gilkes spent the next twelve years working steadily as a sideman while honing his own highly individual voice. 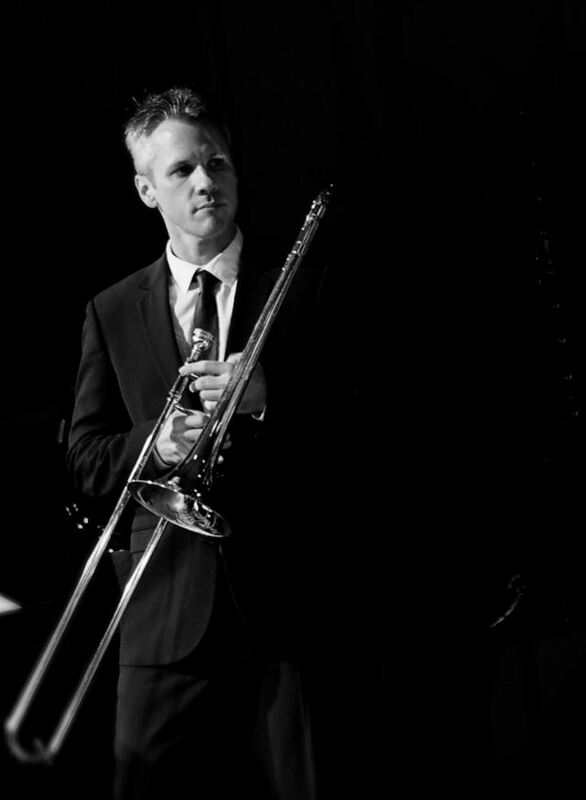 In the ensuing years he’s played and recorded with a staggering variety of artists and ensembles, including the David Berger Jazz Orchestra, Ryan Truesdell’s Gil Evans Project, Wynton Marsalis and the Jazz at Lincoln Center Orchestra, Darcy James Argue’s Secret Society, the Christian McBride Big Band, Billy Cobham, Richard Bona, and Barbra Streisand. Gilkes released his debut as a leader, Edenderry, in 2004 with a quartet featuring pianist Jon Cowherd, bassist Matt Clohesy, and drummer Johnathan Blake. He followed that with the quintet recordings Lost Words in 2008 and Sound Stories in 2012. His latest release, Köln, teams Gilkes with the German WDR Big Band, with whom he was a member from 2010-2013. During his four years in Cologne, Gilkes worked with renowned soloists, composers and arrangers including Michael Abene, Vince Mendoza, John Scofield, Chris Potter, Kenny Wheeler, Randy Brecker, Patti Austin, Mike Stern, Ron Carter, and Maceo Parker. The influence of those experiences can be heard on Köln, which showcases vivid ensemble writing and arranging which marks the furthest evolution to date of Gilkes’ deft combination of his jazz and classical influences. 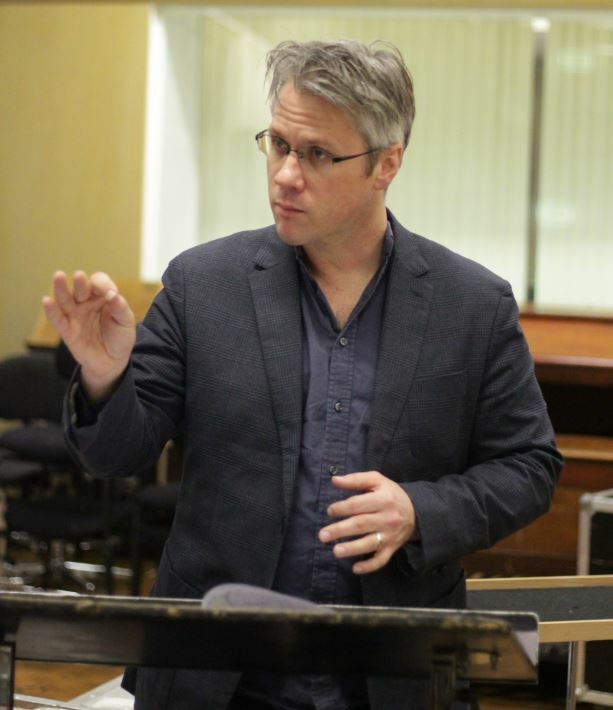 Those complex and memorable compositions have begun to attract notice from jazz festivals and educational institutions across the country and around the world, leading to invitations for Gilkes as a composer, bandleader and clinician. While he returned to New York in early 2014, life after his interlude in Germany has begun to once again resemble his childhood as an on-the-move military brat. He continues to work regularly with the Maria Schneider Orchestra and the Edmar Castañeda Trio while teaching and offering master classes at institutions including the Banff Center, the New School for Jazz and Contemporary Music, and the Brubeck Institute. Gilkes is an assistant professor at Berklee College of Music and an artist for Edwards Instruments.